Whew, I've been a busy bee lately! I was going to do a blog post about villains (again), but it's not done and I wanted to go ahead and post links to these two really great interviews I did to celebrate the release of Spirit's End! The first is over at Fantasy Book Critic (with whom I did a previous interview way back when the Eli Omnibus came out). It's always such a pleasure to speak with Mihir and I had a ton of fun. We talk a lot about the inner workings of Eli's world, how I wrote the books, and my new SciFi series. 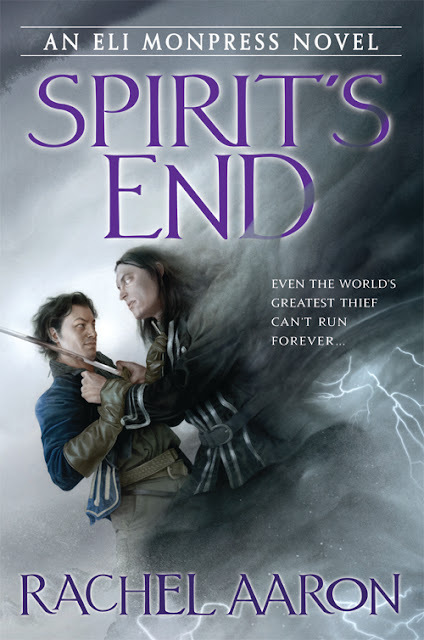 Warning, the interview has a lot of spoilers about the end of Eli, so if you haven't read Spirit's End yet, you might want to hold off and read this one later. My next interview just went up at Stellar Four, and I have to say I'm blushing! They say very nice things. This is a spoiler free interview, though I do reveal the sexuality of two secondary characters, so I guess that could be a spoiler? But it's not in the books explicitly, so I'm pretty sure you're safe. Anyway, go read it! I had a very good time and Megan, I'm sorry I broke your heart! So there you go, two new interviews full of delicious Eli secrets! Go, enjoy, and I'll be back in a bit with a big post about antagonists. Until then, try not to die from all the Christmas music (seriously, my grocery store had Frosty the Snowman on loop. I'm considering never going there ever again). The time has come, the walrus said, to talk of winning prizes! That's right, it's time to announce the Grand Prize Winner in the SPIRIT'S END raffle! Just a reminder, our grand prize winner will receive personalized signed copies of the complete Eli series (as shown above) plus a $50 Amazon.com gift card! SO, who's our winner (as chosen from my spreadsheet of everyone's contributions, taken from the information posted on the contest thread)?? Why, it's..... J. Leigh Bralick! Congratulations, YOU'RE GOING ALL THE WAY to Amazon.com to buy books that aren't mine since you've now WON MY ENTIRE LIST! HOORAY! Shoot me an email with your address and how you'd like the books made out and I'll get them all mailed. Congrats again! Thank you once again to everyone who participated and congratulations to all the winners. Especial thanks goes to everyone who bought the book, and double extra mega thanks to everyone who reviewed it! You people really are amazingly awesomesauce! And that about wraps it all up. I'm going to go weep over my empty Eli nest now. Have a great holiday, everyone! First up, super mega congrats to our final SPIRIT'S END raffle winner... LEAH! Hooray! I'll be doing the drawing for the GRAND PRIZE, being signed copies of all 3 trade paper back Eli books plus a $50 Amazon.com gift card, this evening at 5 EST. Everyone who posted on the original thread and helped spread the word is still eligible, even if you already won something (if you win twice, I'll give you the grand prize and pick a new winner for the other signed copy), so keep your eyes peeled and thank you again to EVERYONE. You all made this my best launch ever, and Eli loves each and every one of you! What a long way we've come, eh? Even though I finished writing Spirit's End last year, today feels like the real end of things, and while I'm very happy with the way I ended his story, it's still bittersweet. I've been working on Eli's world since 2006. That's a long time to spend with anyone, much less a relationship as intimate as author and main character. Not to sound schizophrenic, but I still think in his voice all the time. Same with Miranda. You just can't be with people, even imaginary ones, for this long and not come out different. With the publication of Spirit's End (which I will always think of as The Other Side of the Sky, my title for it), a huge chapter of my life has come to an end. Of course, I'll still be promoting and talking about these books for years, but my career is already moving on. There are new books to be written, new characters to love and fight with. But no matter what books I write in the future, no series will ever take the place of Eli in my heart. Eli Monpress will always and forever be the one that made it. He was the one who charmed his way into my agent's heart, and then my editor's. His story was the one that got me my great dream of being an author, and while it feels strange to be grateful to a fictional character, I am. I'm grateful for everything. Most of all, though, I'm grateful to my readers. Eli might have charmed his way into a book contract, but it was all of you reading and spreading the word and posting reviews and generally being amazing that let me continue Eli's story to the end. So thank you, all of you. It's said that a writer is only as great as her readership, and I really believe that's true, because there's no one I'd rather have at my back than you awesome people. So many of you have written to thank me for writing Eli, and every time I get one of those letters, all I can think is no, thank you. Thank you for reading, thank you for making other people read, thank you for buying my books and making it possible for me to live this dream. I am nothing without all of you, and so, here at the end, you're the ones I really want to thank. Thank you for everything, thank you this amazing ride, thank you from the bottom of my heart. I hope more than anything that Spirit's End lives up to your wildest expectations, and I hope you know that it never could have been without you. This is it, folks! We have reached the penultimate day of the SPIRIT'S END contest! Tomorrow I'll be drawing our final book winner and grand prize, but today, our Day 6 Winner is...... the superhero princess! YES! EXCUSE TO POST AVENGERS GIFS! So congratulations, Madame Superhero Princess! 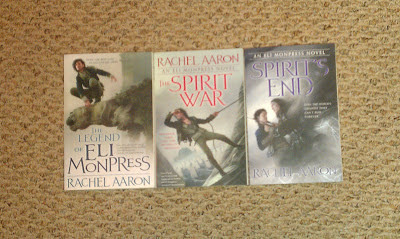 You get the next to last signed copy of SPIRIT'S END! Send me your address and who you'd like the book made out to and it shall be allllllll yours. We've only got 1 copy left to win before the grand prize is drawn tomorrow afternoon! Thank you to everyone who's helped me spread the word about SPIRIT'S END! Keep it up 1 more day and let me know on the original contest thread so I can keep counting your entries! Gah, sorry for the late post. Toddlers don't understand "patience" and "don't grab Mommy's laptop." But I've finally got a few minutes to announce day 5 winner...kleinwriter1686! Yaaay!. So congratulations, kleinwriter1686! 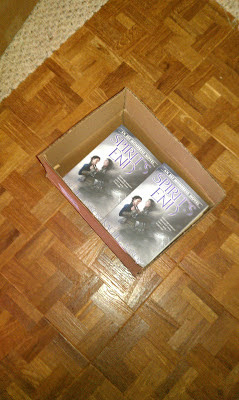 You get a signed copy of SPIRIT'S END! Send me your address and who you'd like the book made out to and it shall be allllllll yours. Thank you to everyone whose entered so far and don't forget, there are still 2 copies to win plus the grand prize that will be drawn next Tuesday. So keep spreading the word and letting me know about it on the original contest thread! Only an hour late, but here's our Day 4 Winner...Ash! GASP! So congratulations, Ash! You get a signed copy of THE END OF THE WORLD (of Eli) (Spirit's End!). Simply send me your address and who you'd like the book made out to and it shall be allllllll yours. Thank you to everyone whose entered so far and don't forget, there are still 3 copies to win plus the grand prize that will be drawn next Tuesday. So keep spreading the word and letting me know about it on the original contest thread! We are nearing the half way point in the contest with Day 3 Winner...D. Edward Noe! HOORAY! I will now post my new favorite thing in the world in celebration! You'll be singing it all day. You're welcome! So congratulations D. Edward Noe! You get a signed copy of Spirit's End for your very own! Simply send me your address and who you'd like the book made out to and I'll be shipping it off post haste. Thank you to everyone whose entered so far and don't forget, there are still 4 copies to win plus the grand prize that will be drawn next Tuesday. So keep spreading the word and letting me know about it on the original contest thread! 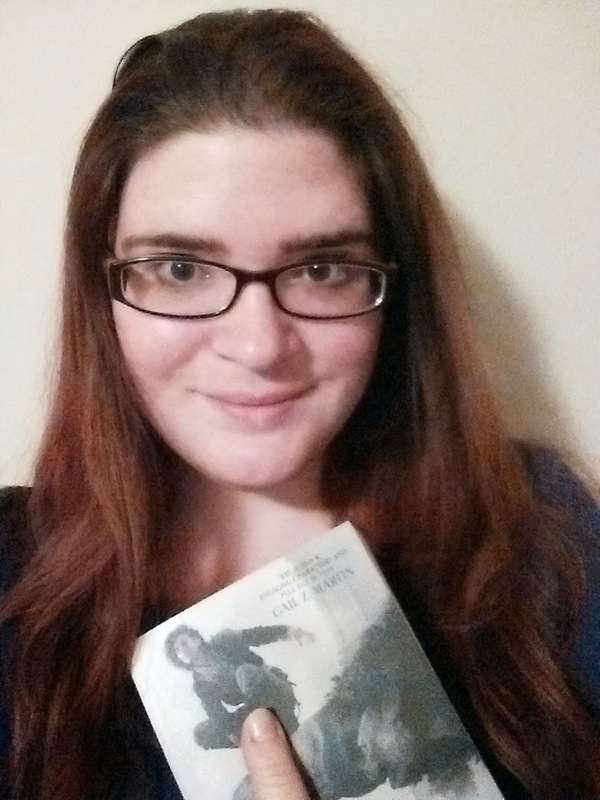 Another day, another book to be given away! And the winner for day 2 of the official Spirit's End raffle is.....(drumroll)... Audrey Bauman! Hooray! This calls for a WAMPUG! Mega congrats to you, Audrey! Though sadly Chubs the Wampug is not actually mine to bestow, I will be sending you a signed copy of Spirit's End! Simply send me your address and who you'd like the book made out to and I'll ship it off post haste. Thank you to everyone whose entered so far and don't forget, there are still 5 copies left to win plus the grand prize that will be drawn next Tuesday. So keep spreading the word and letting me know about it on the original contest thread! Thank you all a TON! What a great turn out for Day 1! You guys make me all mushy inside, and I meant that in the best possible way. :D After entering all of your wonderful, wonderful Eli sharing awesome into my spreadsheet, the impartial computer at Random.org has declared B.A. Viens as our first winner! HOORAY! So congratulations B.A. Viens! In addition to one very happy Disney crocodile (alligator? ), you will receive a signed copy of Spirit's End for your very own! Simply send me your address and who you'd like the book made out to and I'll be shipping it off post haste. Thank you to everyone whose entered so far and don't forget, there are still 6 copies to win plus the grand prize that will be drawn next Tuesday. So keep spreading the word and letting me know about it on the original contest thread and I'll keep picking winners, though, of course, YOU'RE ALL WINNERS TO ME! Good luck and thank you for everything. You are the best fans a girl could wish for! Well, it's finally here! 2 years after the first books hit the shelves, Eli's story is finally coming to an end. Specifically, SPIRIT'S END! BUT WAIT! THERE'S MORE! In addition to the 7 signed copies of Spirit's End, I'm also giving away a grand prize of all three of my books, signed to the lucky winner, plus a $50 Amazon.com gift card! So if you're ready to win free books, get ready to spread the word about Eli! Official rules are below. For those of you who've done my contest before, it's the same as always. And since this is Eli's final hurrah, this contest is open WORLD WIDE! Official Spirit's End Raffle Rules! You've waited patiently for so long, and now your patience shall be rewarded! I'm giving away 7 personalized signed copies of SPIRIT'S END, one for each day from today to Monday, November 19th! 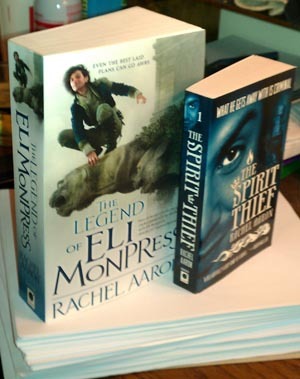 And then, on Tuesday, November 20th, I will be drawing one grand prize winner who will receive signed copies of ALL THREE Eli Monpress editions (that's the first three books in the THE LEGEND OF ELI MONPRESS omnibus, THE SPIRIT WAR, and SPIRIT'S END, all signed to YOU!) plus a $50 Amazon.com gift card to spend on the books of your choice! To enter to win these amazing prizes, all you have to do is spread the word that SPIRIT'S END is coming out on November 20th! Post about Eli on Facebook, Twitter, Pinterest, Tumblr, your blog, or any other social platform of your choice and then drop me a note in the comments below letting me know what you did and I'll enter you into the pot. This is a raffle, that means you can enter multiple times. Every time you spread the word somewhere on the internet (or even in real life! I'll totally count putting up a flyer if you roll old school!) put it in the comments below with a link. Pin the cover, post on Twitter, and mention the book on your blog? That's 3 entries! Tell me so and I'll enter your name 3 times. I'll be drawing from the comments on this post every day, including today, so the sooner you enter, the more chances you have to win! You can also keep promoting the book every day to increase your chances ever further. Winners will be announced the morning of the day after they win, so today's winner will be announced tomorrow morning, etc. The grand prize drawing will be on TUESDAY, NOVEMBER 20th at 5:00 PM, east coast US time (EST). After that entries will be closed and I'll be mailing out a lot of books! Since this is the last Eli book, I'm pulling out all the stops! This raffle is open WORLD WIDE! Only one entry per social network per day (so no posting it a million times on Twitter for a million entries :P). Readers who win one of the earlier signed copies are still eligible for the grand prize at the end, but since they already have a book coming to them, I'll pick a new winner to get the extra copy. If you have any questions about the contest, the rules, or the books, please contact me! If you want to read a sample of SPIRIT'S END, you can do that here. And please spread the word of the contest around. If I get a ton of people, I'll just give away more books to keep the chances even. Thanks for playing! So, if you're a writer of any stripe and you've got some questions you'd like answered, head on over and post something! I'll be doing my best to get to all the questions quickly, and hopefully it'll be even bigger than last year's! Also, OMG 19 DAYS UNTIL SPIRIT'S END?! Are you excited?! 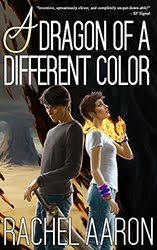 As soon as I get the books, there will be hella contests, but until then, you'll just have to content yourself with the sample and the lovely cover! So close, Lord of Storms, SO CLOSE!